From the sounds of things, specifically Steve Lorenz from Wovlerine247, Michigan will be wearing an all-maize uniform for their opener against Florida this weekend in Dallas. There's nothing definitive, but the buzz is out there. 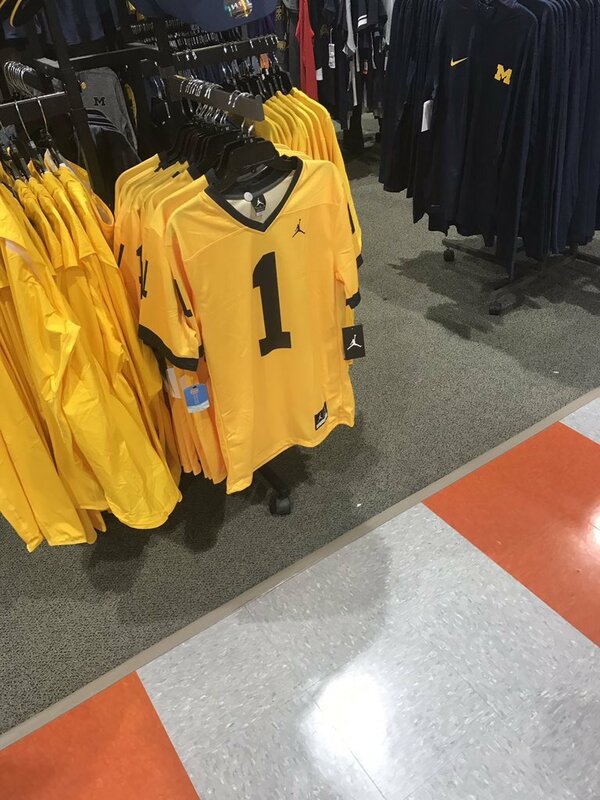 Wolverine247 confirmed on Sunday evening that the current expectation is for Michigan to wear all-maize alternate jerseys next Saturday in their season opener against the Florida Gators. Per source: Michigan football will wear all-maize alternate uniforms against Florida; team practiced in them last Friday. I wouldn't doubt for a second that the Gators will show up in their all-blue unis for the game...sort of a college version of the "color rush" uniforms seen on Thursday night NFL matchups last year. In the whimsical world of neutral site games, I'm less bothered by this than if it were a normal home or away game. Although personally, I think it's ridiculous to mess with the jersey to such an extent, but I'll try to reserve judgement until I see these suckers on the field. If they go with a maize helmet though...all bets are off.